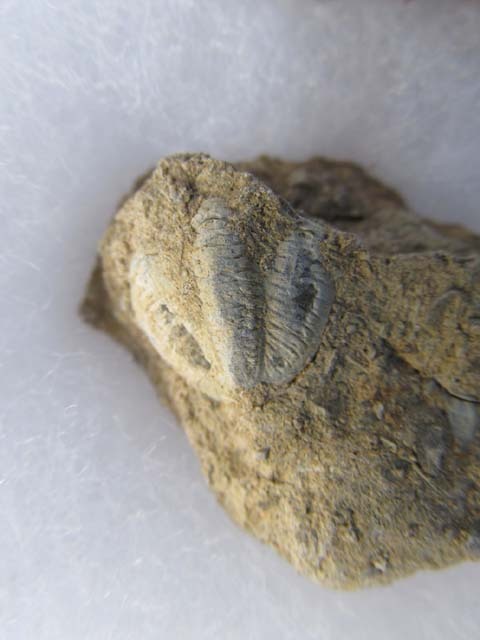 Fossil hunting offers a wide variety of possibilities. 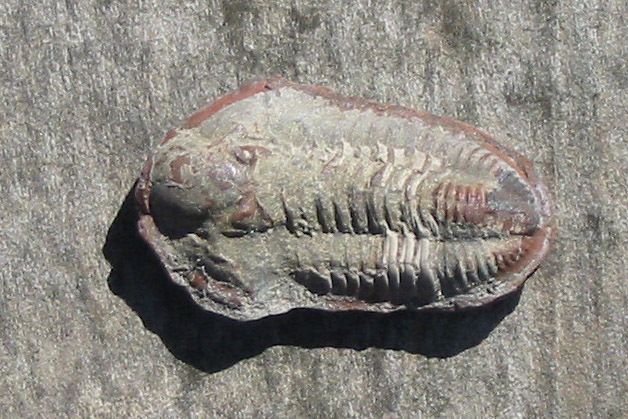 Trilobites shed their armor six to eight times during their life. This translates into finding their sheds (which are never common). 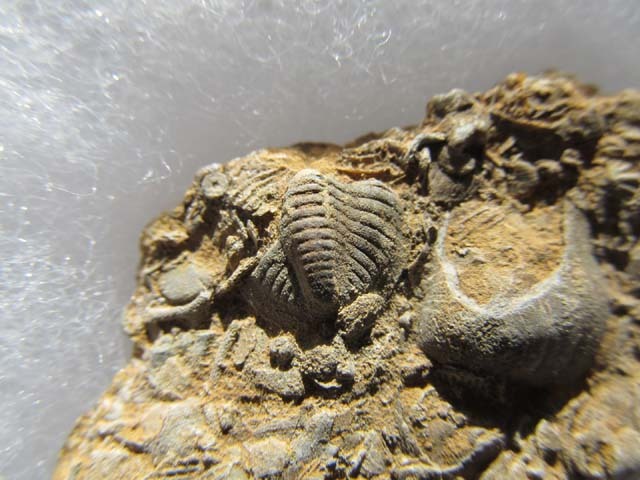 Trilobite fossils are found in limestone, shale and dolomite in Illinois. Most of mine are from limestone. The oldest ones in Illinois come from Cambrian age rocks 500 million years old. Trilobites went extinct 250 million years ago. Over years and years of fossil hunting, I found several partial trilobite fossils. I never expected the possibility of finding a whole one. Then there, one sunny afternoon, on the the shale of a small outcrop, near the top of a hill, by a lake, lay this 7/8 inch trilobite. My “whoop” echoed through the hills! Keith, my son, went to a Sierra Club seminar on Paleozoic monsters recently. Joseph Drevian, from USGS, gave the program. He found a partial trilobite from the same outcrop where I found my whole one. Keith sent him a picture of the one I found. 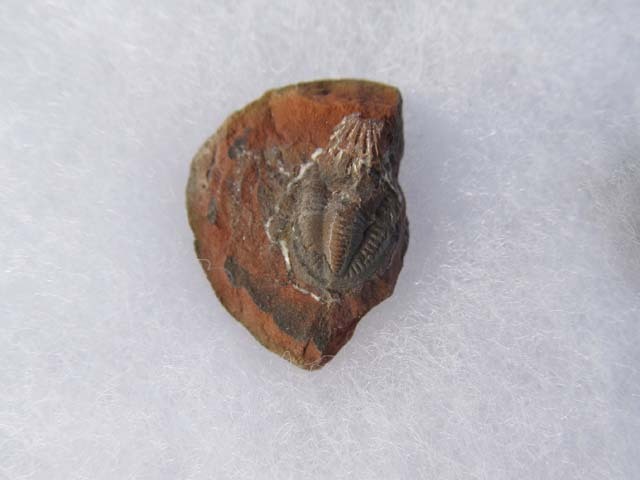 My trilobite is from the Grove Church member of the Kincaid limestone, part of Elviran Stage Chester series of the Missisippi system. It is a proetid trilobite named Paladin sp. 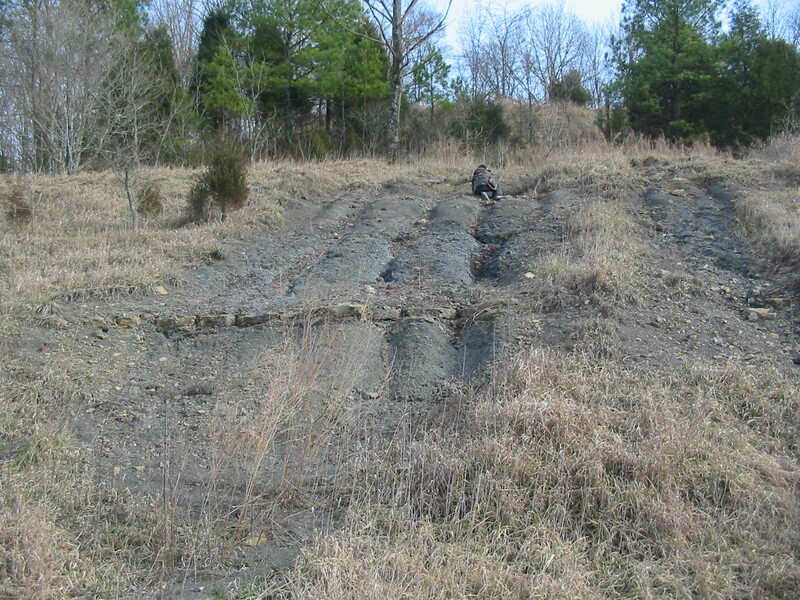 I searched and searched until I found pictures of the shale outcropping where I found the trilobite. That’s my mother fossil hunting on the slope. 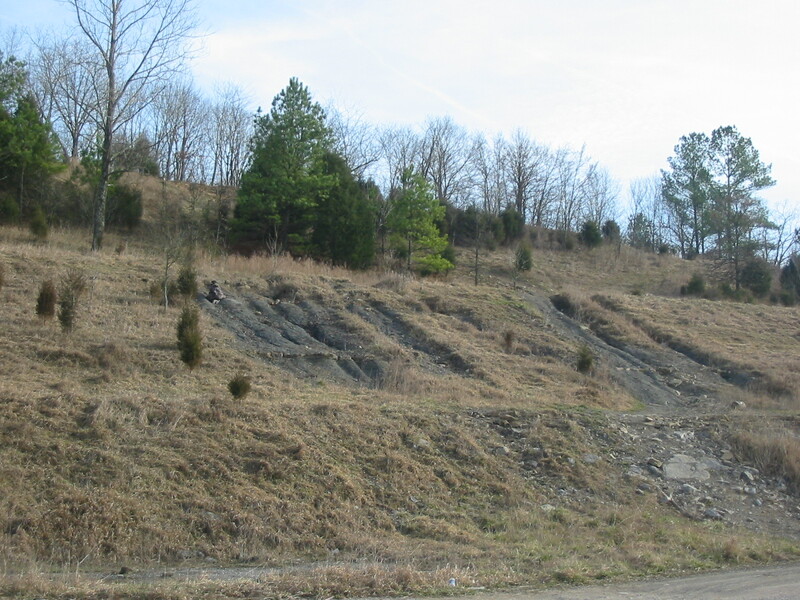 This last picture shows the whole shale area. Horses later moved their trail to down through the shale. Then a major flood in 2008 completely changed the landscape, and I haven’t been back since.